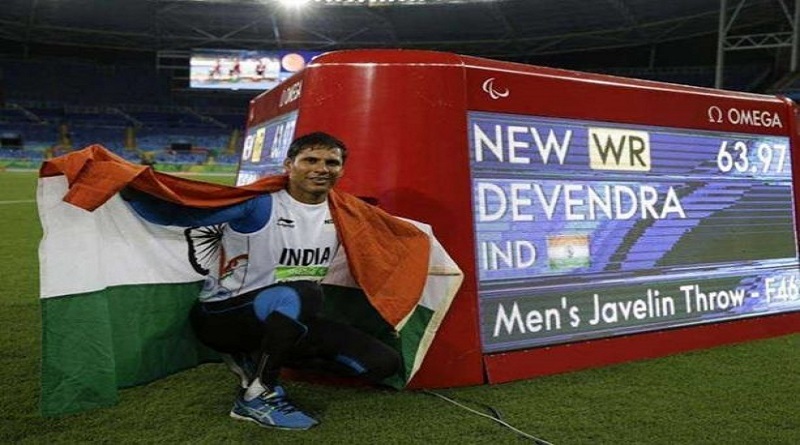 Devendra Jhajharia from India broke his own world record in the Men’s javelin throw F-46 event and won the second gold at Rio Paralympics 2016. He broke his world record with a throw of 63.97 meters in final to become first Indian to win two Paralympics gold medals. China’s Guo Chunliang took home the silver with a best throw of 59.93m while Sri Lanka’s Herath Mudiyanselage won bronze with a best throw of 58.23m. He was electrocuted while climbing a tree when he was eight years old and his left hand had to be amputated. He was awarded Arjuna award in 2004 and Padma Shri in 2012, becoming the first Paralympian to receive the honor. He took India’s tally at the Rio Games to four medals — two golds, a silver, and a bronze. VIDEO: #DevendraJhajharia Becomes 1st Indian To Win 2 #Gold At #Paralympics . ← Indian Engineer Travelled 6,200 Miles In His Tuk-Tuk. Here’s Why ← Over 1000 postcards sent to Amitabh Bachchan, know why?